Conservatory taken down and a new Laminated Red Grandis Conservatory Installed. Fully factory finished Chartwell Green in our spray booth and Satin Silver Furniture. 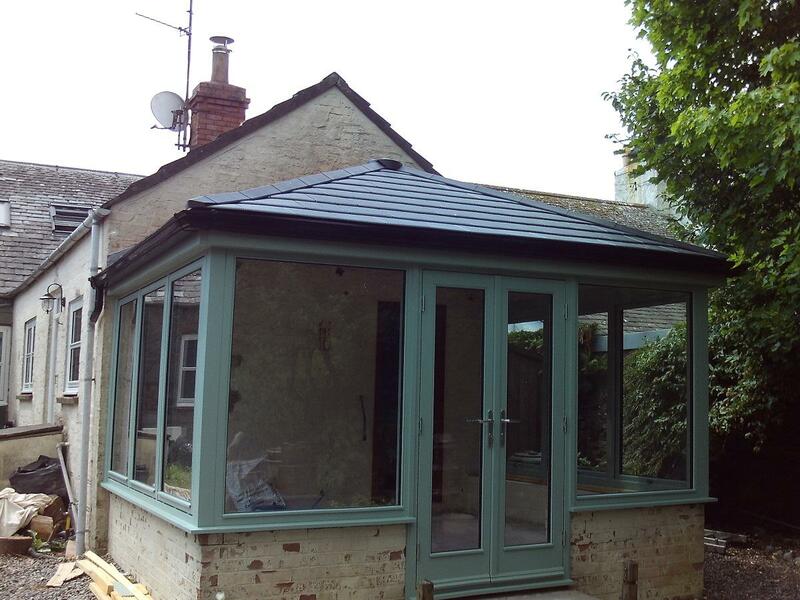 Solid Celsius Roof with a Velux either side (cant be seen on photo) to allow light and heat in. Side opening windows and a set of French Doors.